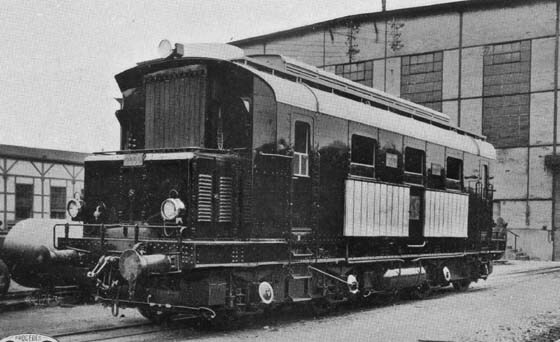 Late in 1930 a Sulzer powered diesel-electric locomotive was delivered to the standard gauge South Manchuria Railway for shunting use in the port city of Dairen and for mixed passenger and goods trains on the company's main lines. It was powered by an eight cylinder 8LV31 engine producing 750hp at 670rpm, it could also be set to operate at 570rpm & 470rpm. Electrical equipment was provided by Oerlikon. The main generator was an independently excited type 8B920 445 kW continuous with an auxiliary generator of 150 volt directly coupled to the main generator. The main generator powered four self ventilated traction motors of type EM 520. Maximum speed was 60km/h (37mph), total weight was 80tons. Auxiliary equipment included a 25hp motor compressor, 25hp motor, two 17hp vertical traction motor blowers and one 3.5hp cooling water pump. The full output of the diesel engine was available up to 25mph. Tractive effort of 13,000lb was available at 15mph, the manufacturers indicating it could pull 40 wagons of 45 tons each along the level! A view of the locomotive #2000 working a train, since the locomotive is here equipped with screw couplings and buffers this view is probably of it on trial in Switzerland. In South Manchuria the US style automatic couplers were fitted. The locomotive was primarily designed for shunting work, hence its service weight of 80 tons on only four axles. A side view of No.2000 taking on fuel, presumably at Darien. The radiators for cooling the water were fitted to the cab front, between the drivers windows, whilst the cooling panels clearly visible on the locomotive side providing cooling for the engine lubricating oil. After testing in Switzerland the locomotive was moved on its owned wheels to the Italian port of Genoa for transhipment to Dairen. 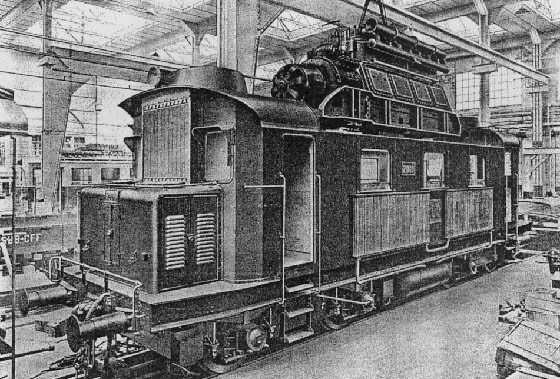 Locomotive designed by and engine provided by Sulzer. Electrical equipment provided by Ateliers de Construction, Oerlikon. Mechanical parts completed by Societe Industrielle Suisse (SIG), Neuhausen. A view of railcar #2, one of a pair introduced in 1932 powered by a 250hp 6LV22 engine which powered one bogie. 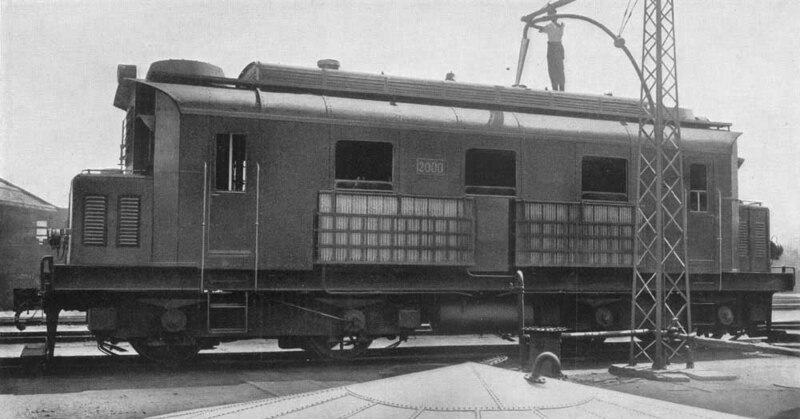 The railcar was constructed in South Manchuria. In 1935 a further set of four four-car articulated railcars were introduced, again built by the workshops on the South Manchuria Railway. These were powered by a 6LTD25 engine delivering 500hp, which were delivered to Manchuria about August 1935. These engines are lighter than earlier types and run at 900rpm. It is believed the locomotive and railcars remained in service at least until the Communist takeover in 1949. Sulzer Technical Review No1B, 1933 - (Special Number for the International Railway Congress, Cairo 1933).